The study of God’s word is central to the life and mission of our Full Gospel Bible Church. 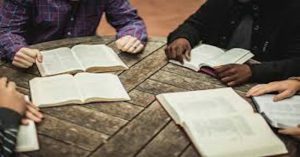 Adult Bible Study meets every Friday evening for devotions at 6:30 followed by an engaging, dynamic and informative exploration of the Holy Scriptures. All are welcome, but be warned: continued exposure to God’s word will change your life.